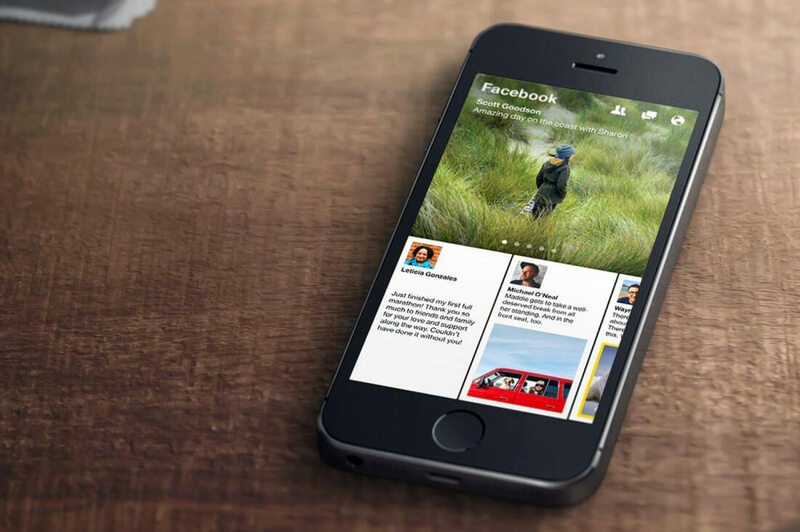 Facebook has announced that it is calling time on its standalone news reading app Paper. Introduced in 2014, the iOS-only application was well-received by critics but ultimately failed to attract a large audience. Paper was seen as an alternative to the core Facebook experience, placing a focus on news articles and featured stories instead of friends’ status updates. It came with a unique user interface that used interactive animations to guide readers through the customizable content. The shuttering doesn’t come as a huge surprise. According to research firm App Annie, Paper dropped out of the top 300 US apps one month after launch, and it hasn’t been in the top 1500 since the end of 2015. Facebook axed its Creative Labs division last December. The initiative’s Slingshot, Riff, and Rooms apps were discontinued, leaving the writing on the wall for its first and most popular offering, Paper, which hadn’t been updated since March 2015. Elements of Paper will live on through other areas of Facebook. Instant Articles, the fast and interactive way of reading articles in the news feeds, uses many of the app’s tools and design elements. Not developing an iPad version of Paper - a platform that would likely have been a perfect fit for the app - may have damaged its long-term chances of survival. And the fact it never arrived on Android meant it missed out on a huge potential audience. Paper will be removed from the App Store later today, and will no longer be supported as of July 29.